Dr Denis Alexander is the Emeritus Director of The Faraday Institute for Science and Religion, St. Edmund’s College, Cambridge, where he is a Fellow. Dr Alexander was previously Chairman of the Molecular Immunology Programme and Head of the Laboratory of Lymphocyte Signalling and Development at The Babraham Institute, Cambridge. Prior to that Dr Alexander was at the Imperial Cancer Research Laboratories in London (now Cancer Research UK), and spent 15 years developing university departments and laboratories overseas, latterly as Associate Professor of Biochemistry in the Medical Faculty of the American University of Beirut, Lebanon, where he helped to establish the National Unit of Human Genetics. Dr Alexander was initially an Open Scholar at Oxford reading Biochemistry, before obtaining a PhD in Neurochemistry at the Institute of Psychiatry in London. Dr. Alexander writes, lectures and broadcasts widely in the field of science and religion. 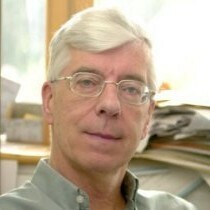 From 1992-2012 he was Editor of the journal Science & Christian Belief, and was previously on the National Committee of Christians in Science and on the Executive Committee of the International Society for Science and Religion.Dr Alexander gave the Gifford Lectures at St. Andrews University, Scotland, in 2012.